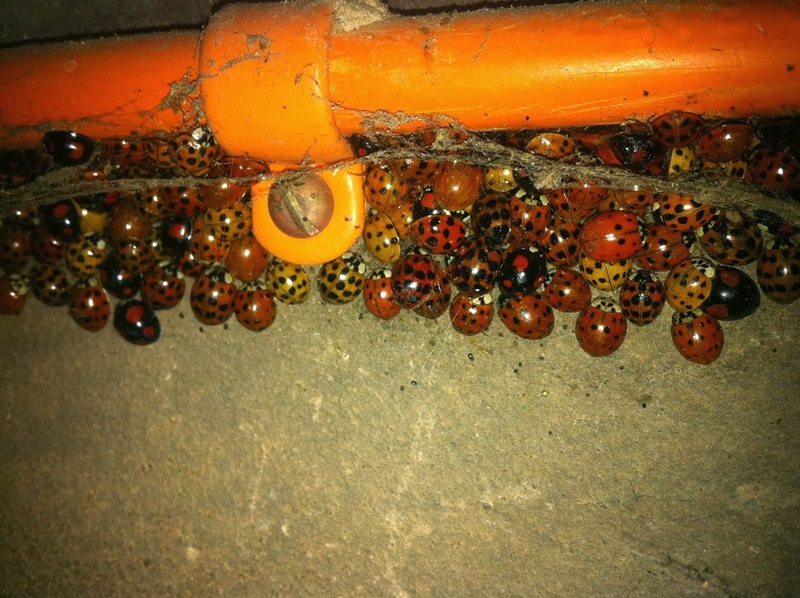 Where do all the harlequin ladybirds go for the winter? This morning I noticed a massive clump of harlequin ladybirds, all together there were about 100 and they were all different interesting colours and patterns. In the late Autumn and early winter it’s very likely you’ll see large amounts of ladybirds huddled together, sometimes thousands. 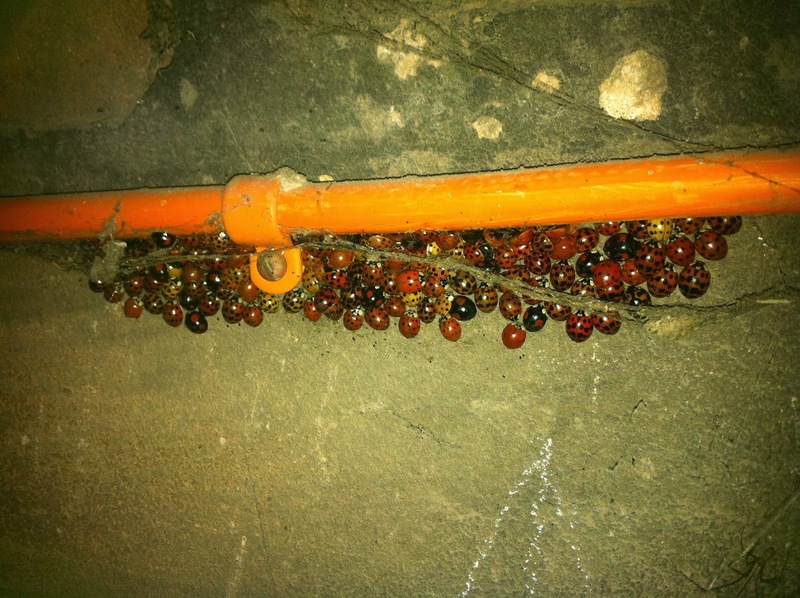 The ladybugs hibernate throughout the winter and different species hibernate in different places. Some under tree bark, in houses, under windows and under leafs etc. They will now be sleeping through until March to April which is when the aphids are around for them to eat and survive on. In the winter there aren’t any around and this is why they go into hibernation, where they can survive. Previous PostMy local newspaper appearance.Next PostAnother day walking in Derbyshire. My Dad is a beekeeper and each winter for about 4 years now he's found literally hundreds of harlequins wintering in the roof of his beehive. It must be a nice environment in there for them with the bees regulating the temperature below.